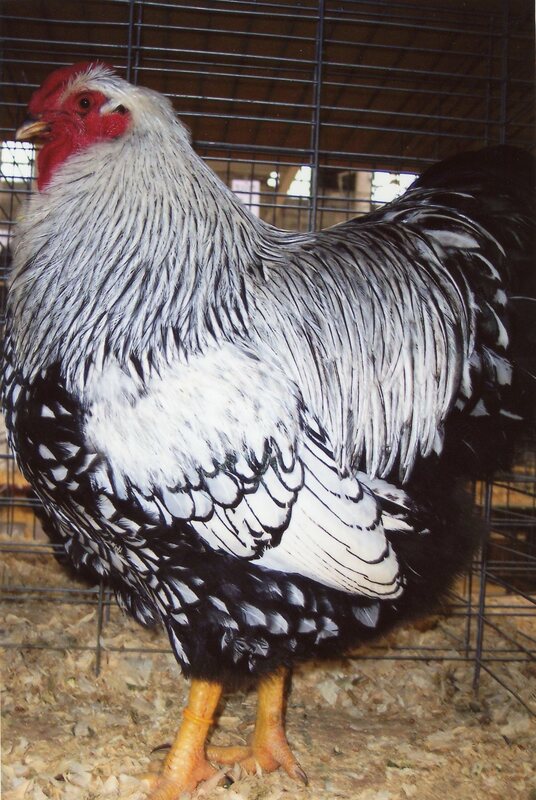 Admitted to the American Standard of Perfection in 1883. 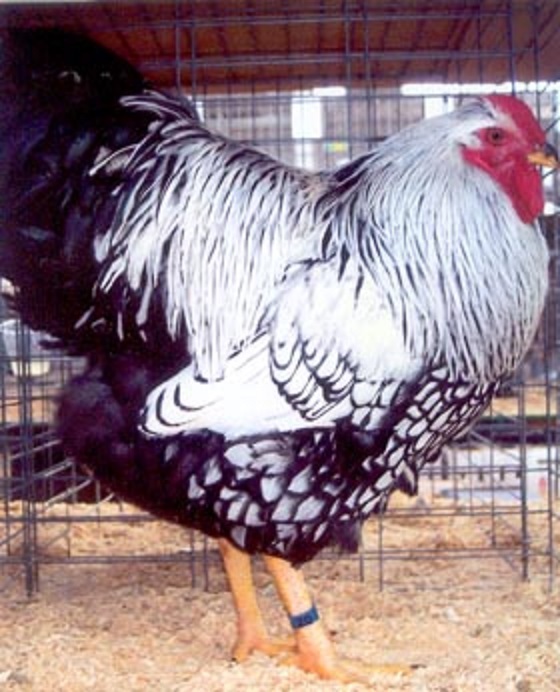 These originated in New York State and are the parent variety of the all of the other Wyandottes. 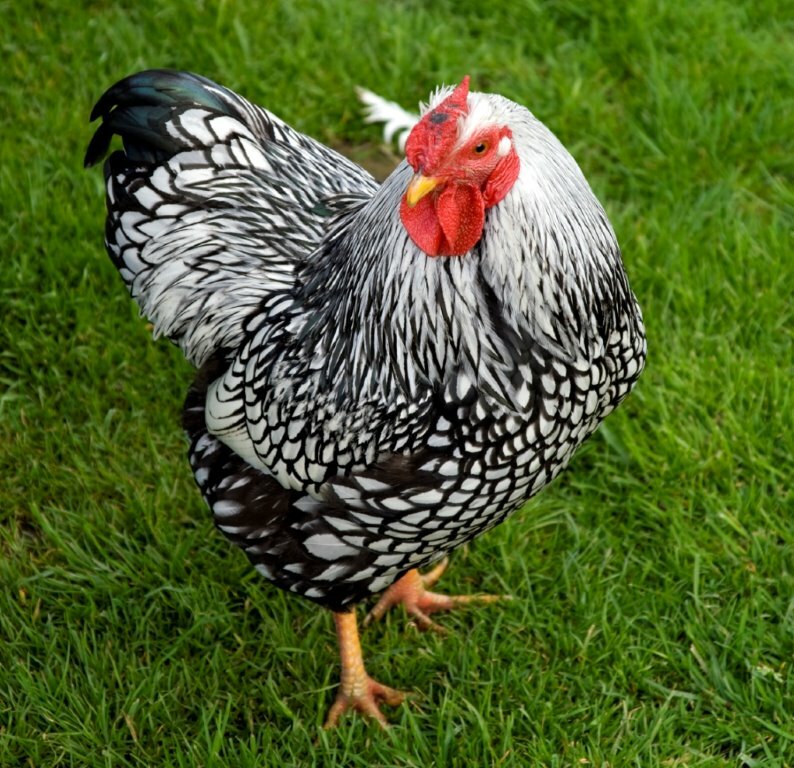 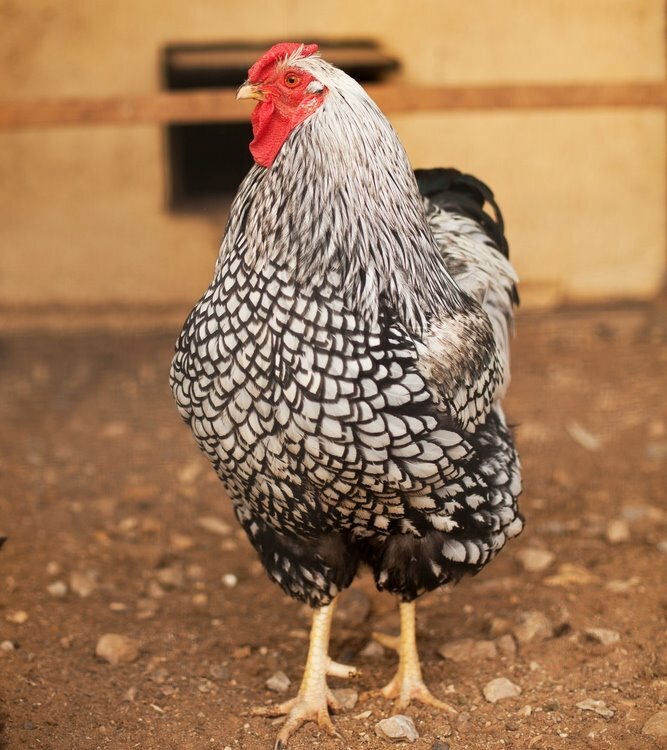 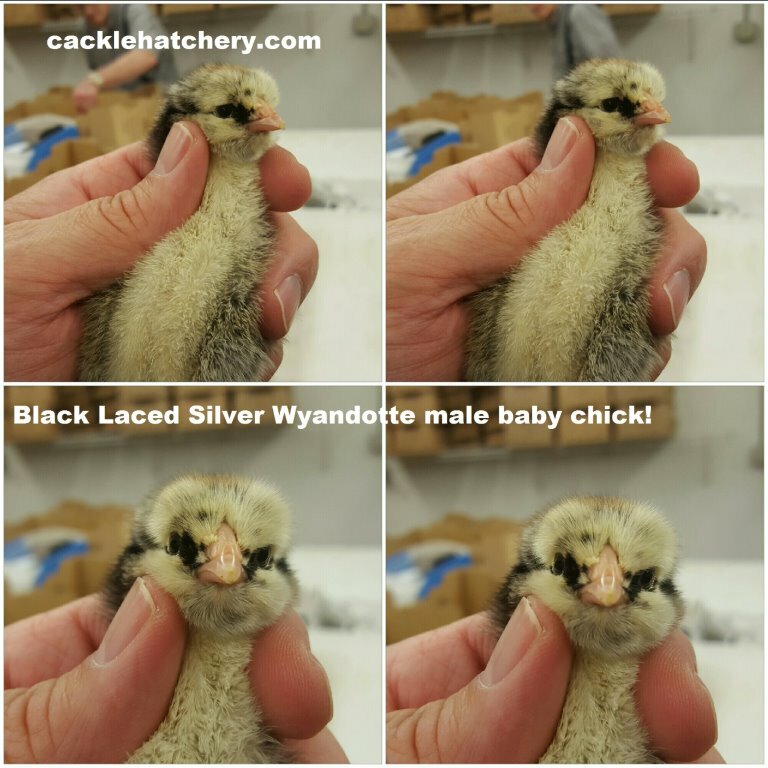 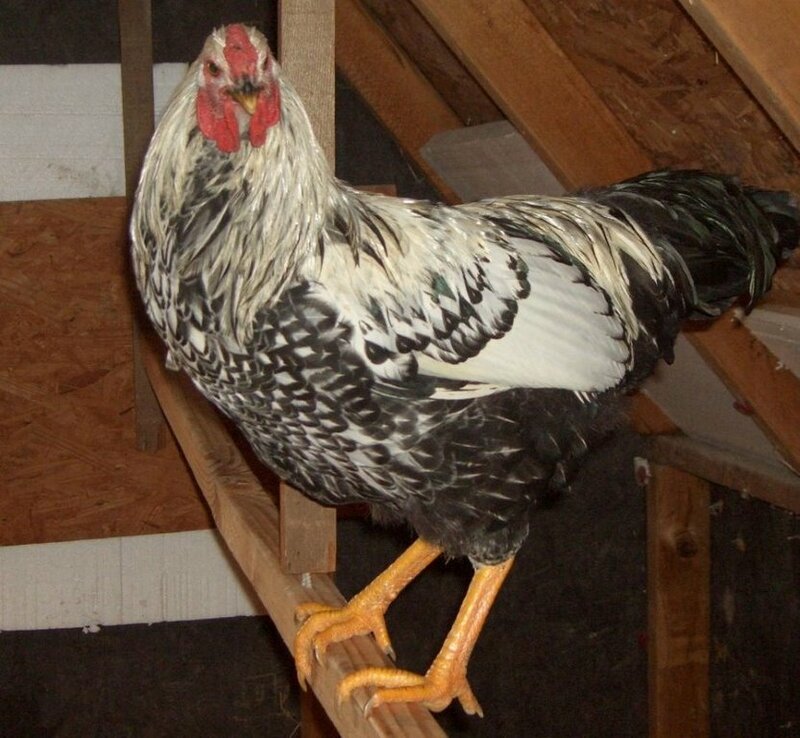 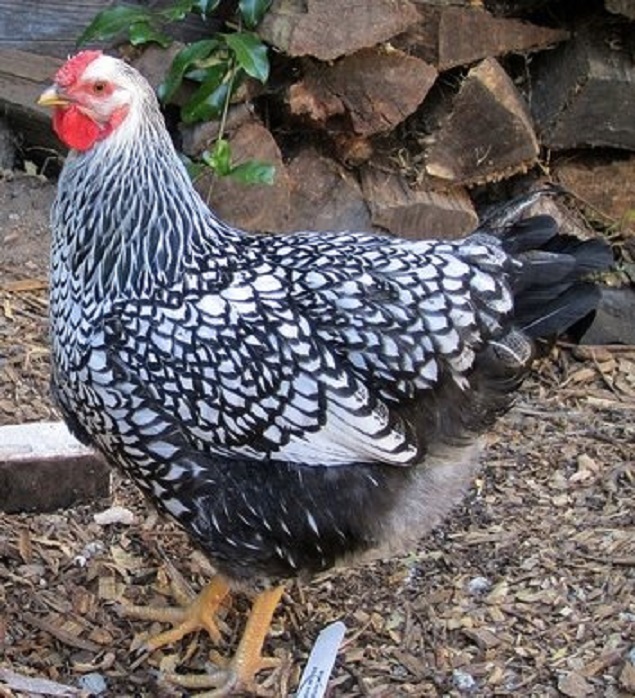 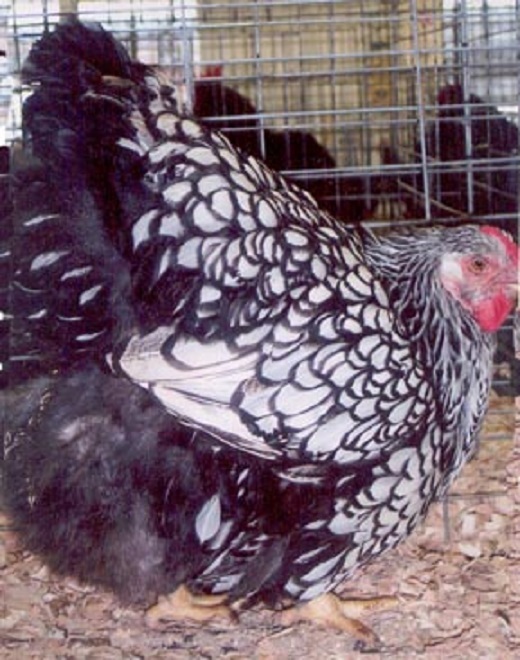 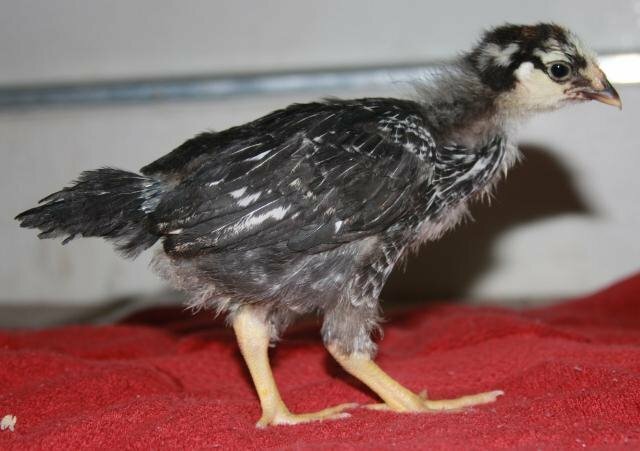 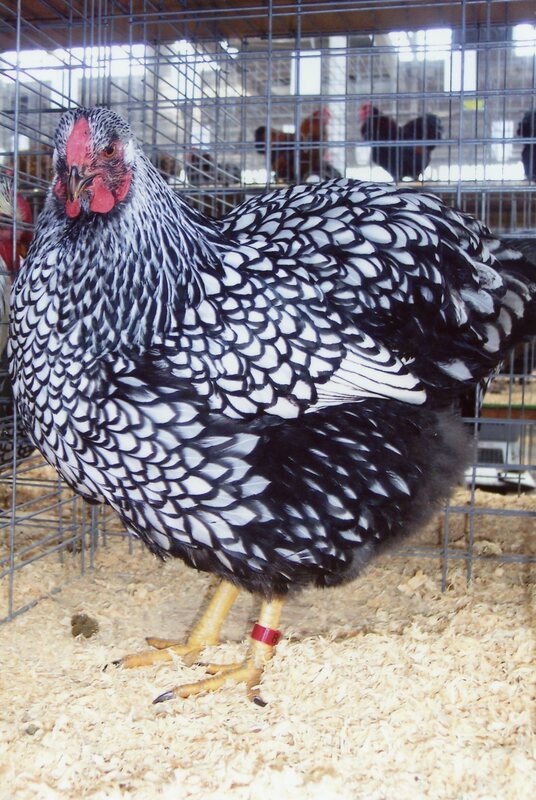 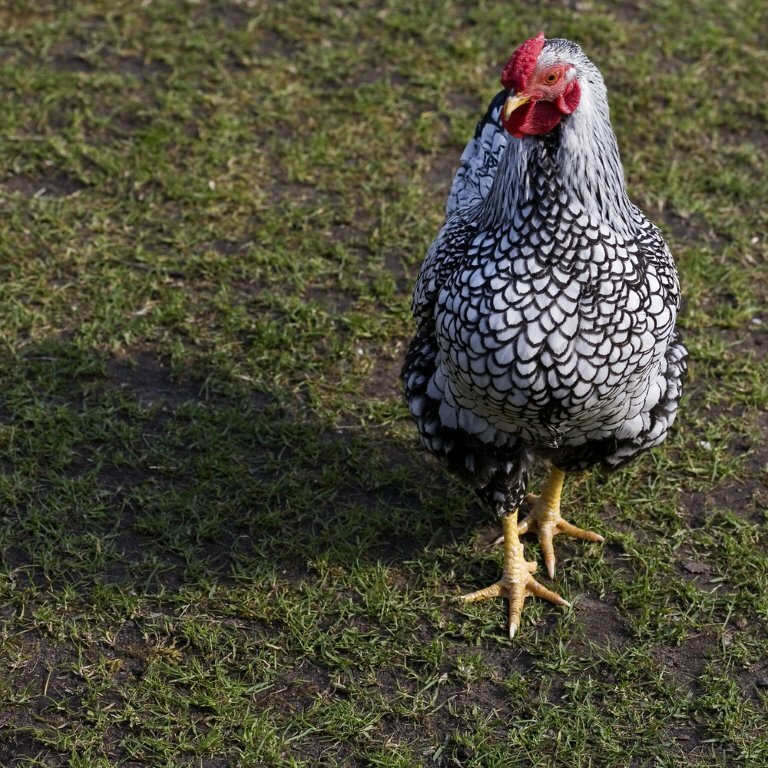 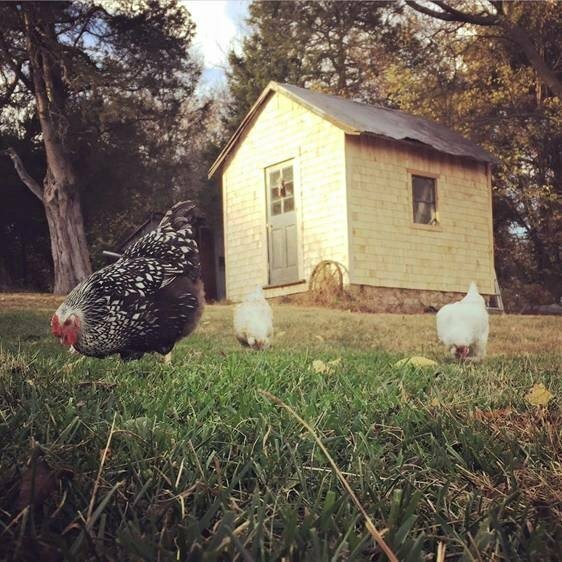 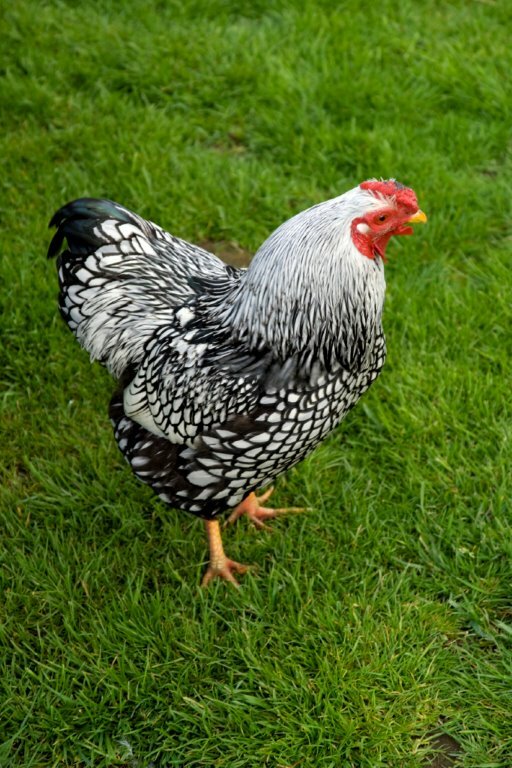 The Black Laced Silver Wyandotte chickens are a docile bird with clean legs and mostly black laced silvery white feathers and black tail. 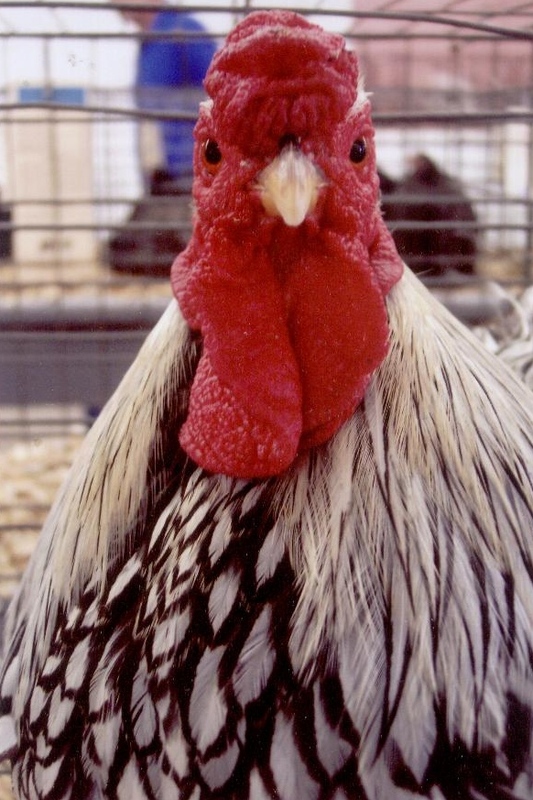 They have a red rose comb, earlobes and wattles. 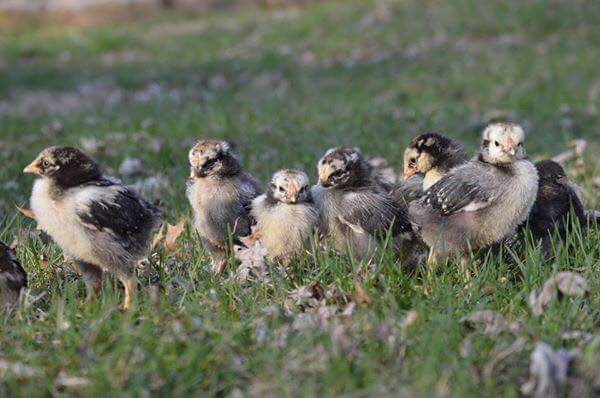 They will on occasion go broody and they make excellent mothers. 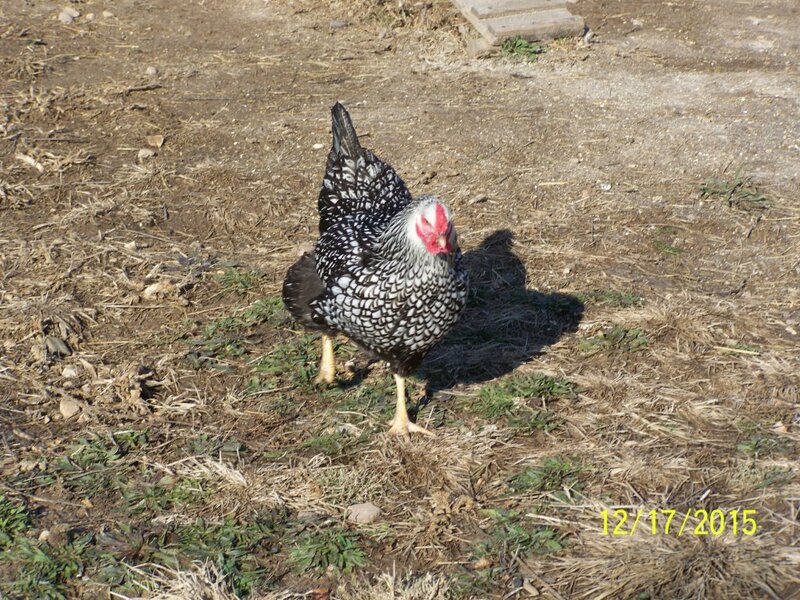 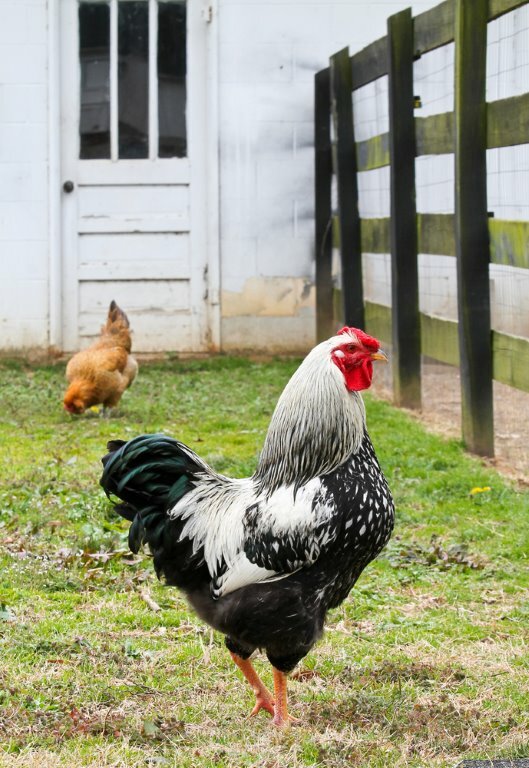 They work well in confinement or free range and are a great back yard chicken. 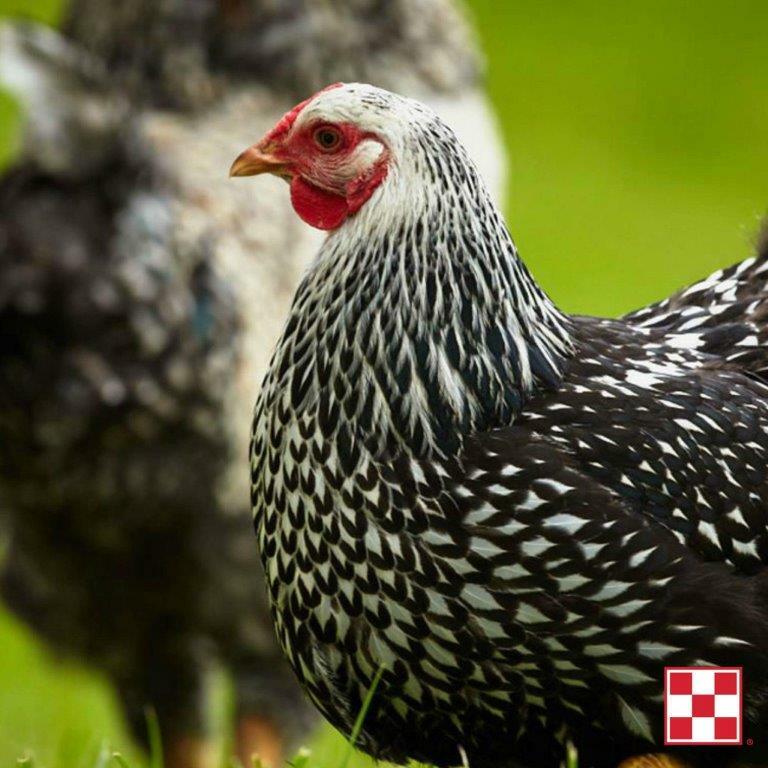 Cackle Hatchery® only offers at this time our production type/line not a show type. 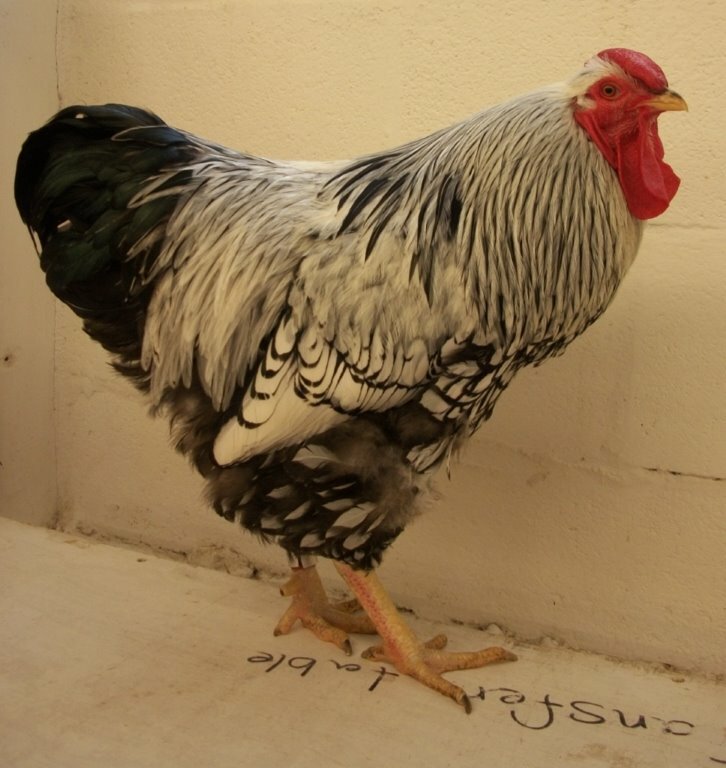 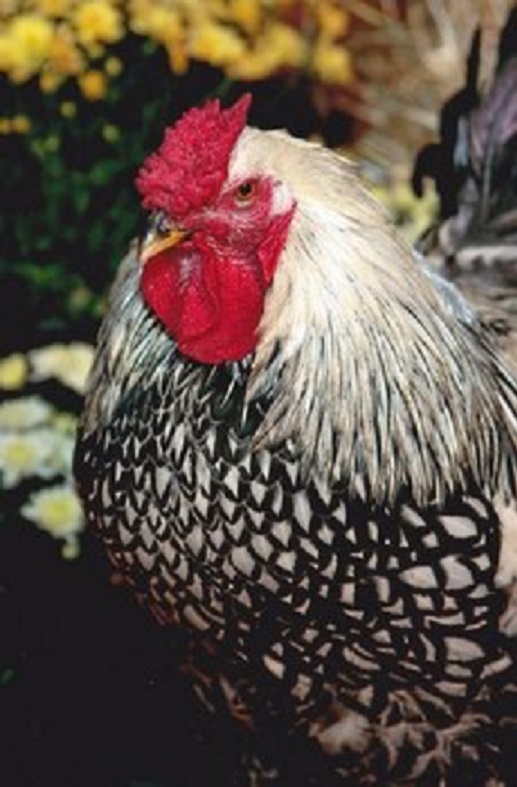 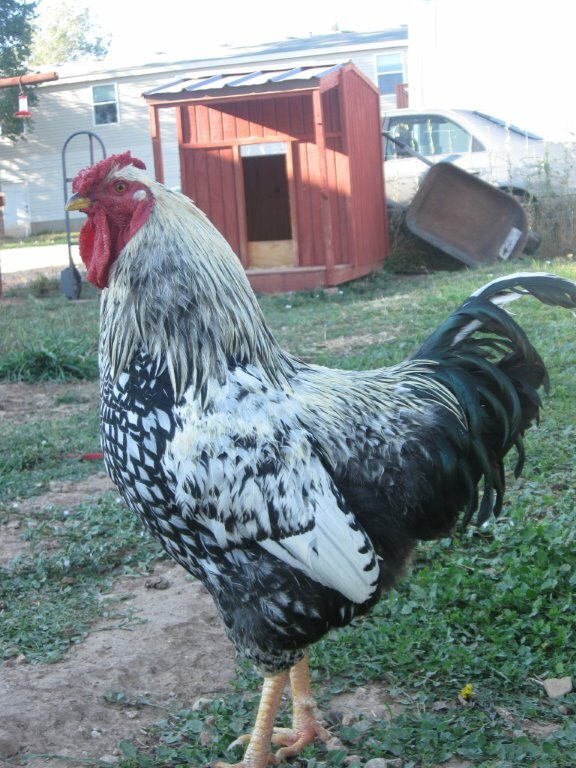 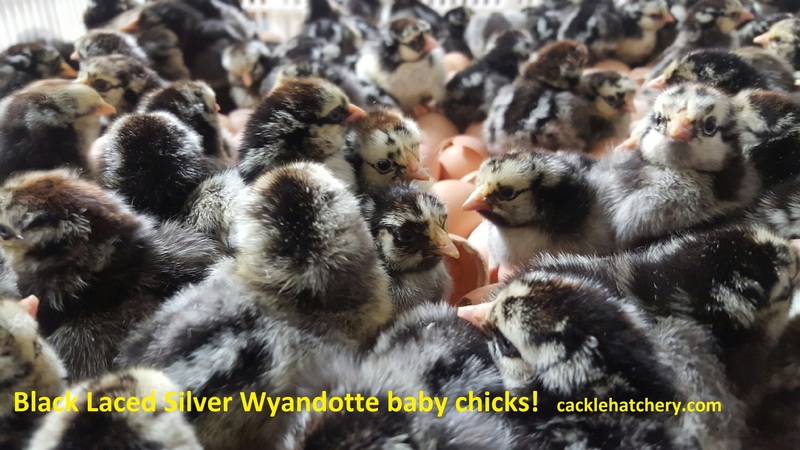 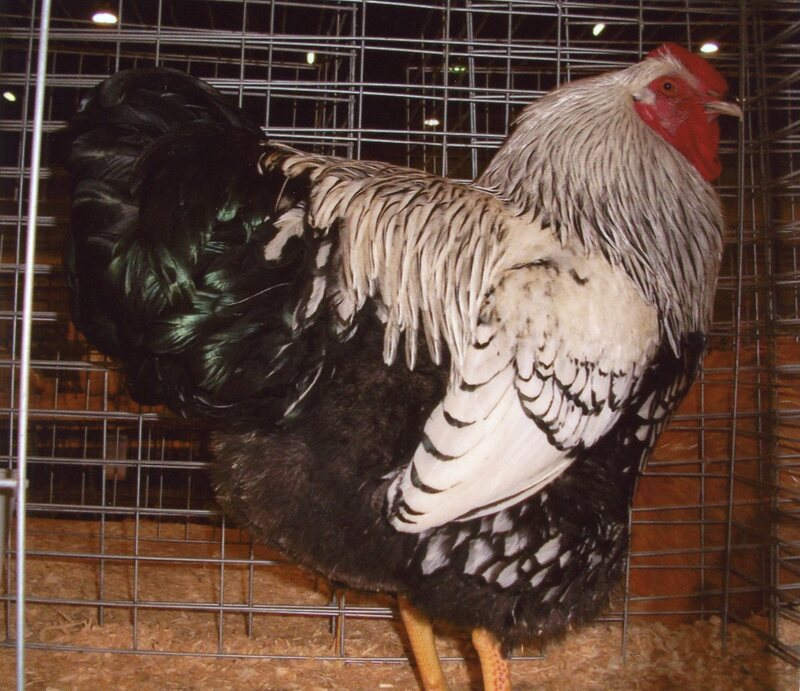 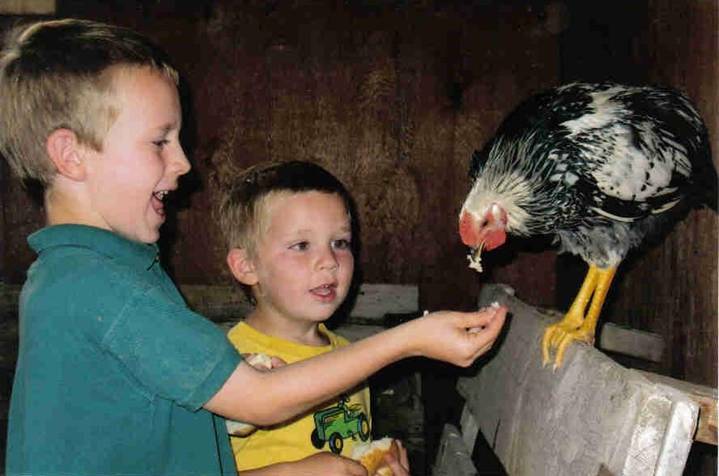 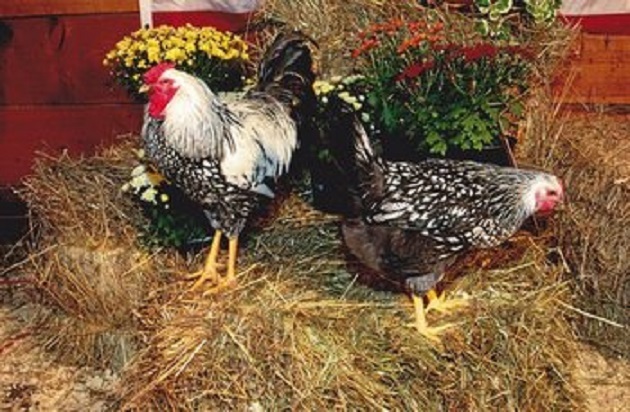 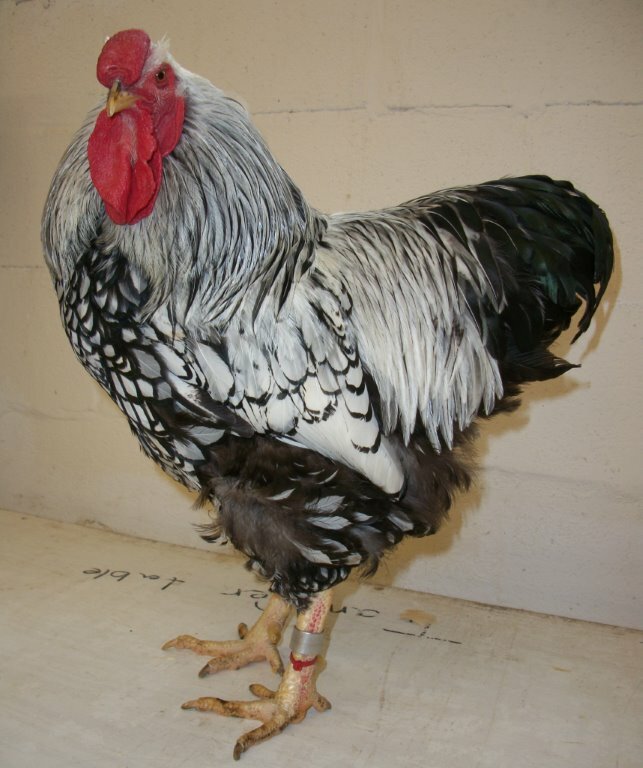 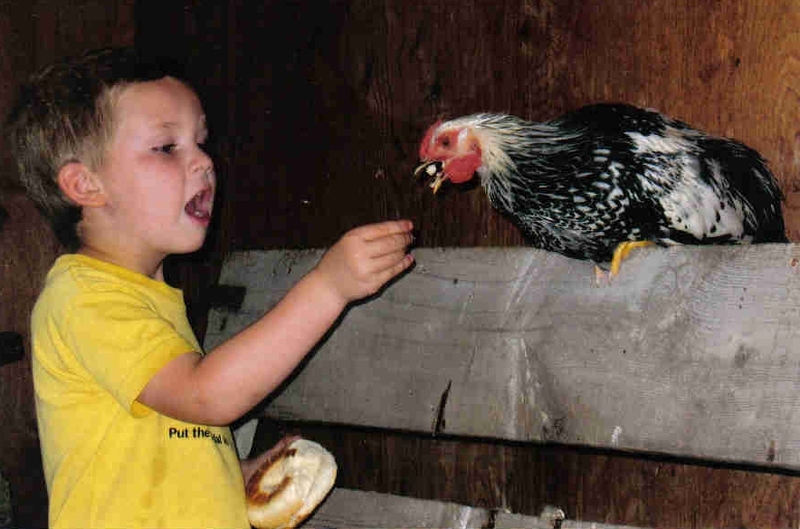 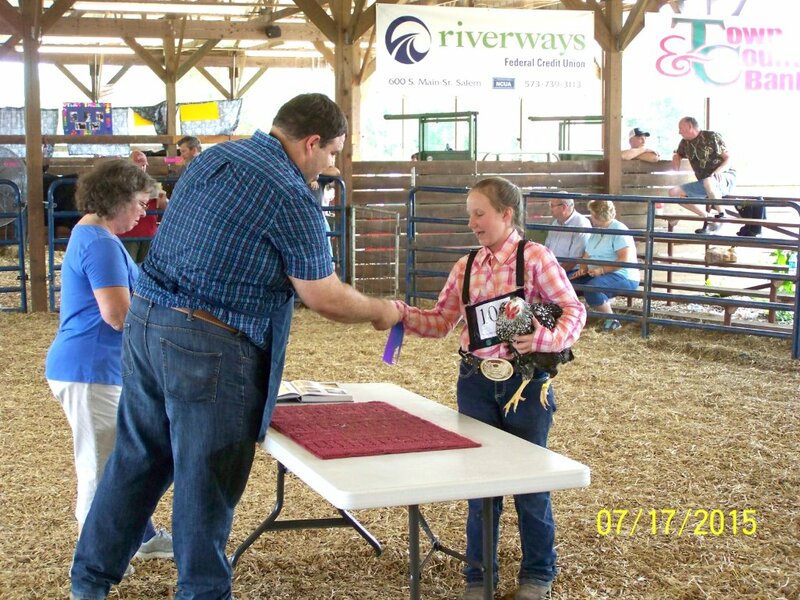 Breeder Farm Source: Cackle Hatchery® Poultry Breeding Farm has been developing our bloodline or strain of pure (production type) Silver Laced Wyandotte’s since 1989. 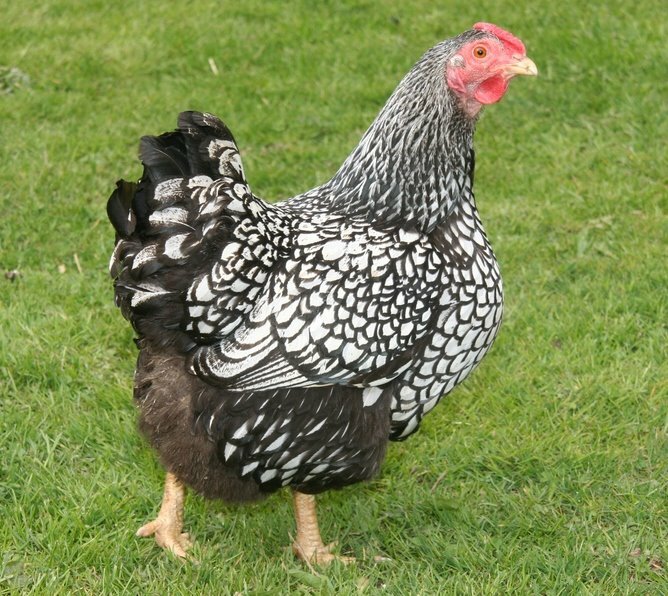 I placed several orders this year, the first one was for 25 Speckled Sussex, They sent me a few extra in case some died. 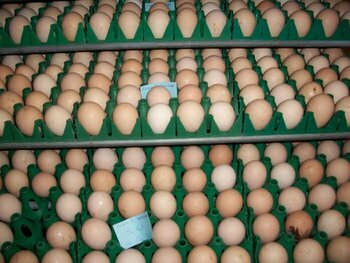 Some did, 9 of them, they credited me for the dead ones after they deducted the extras that they sent me. 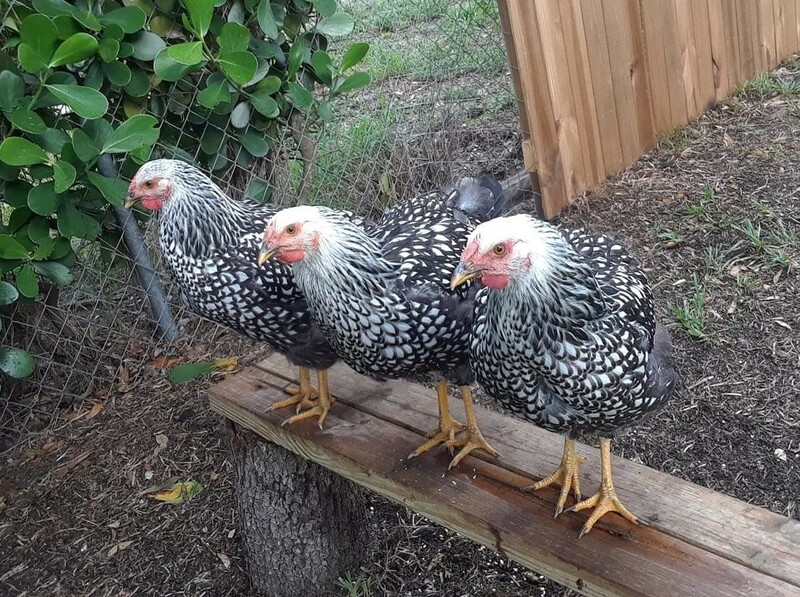 However, I lost another few birds. 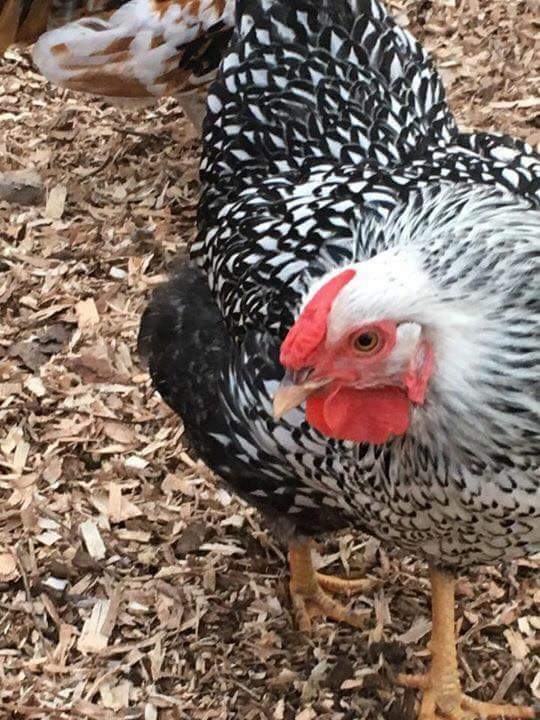 Just a quick thank you. 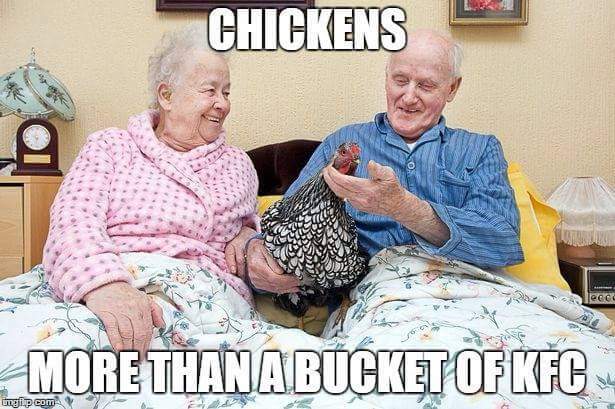 Once again your company delivered a box full of live healthy and vibrant chickens. 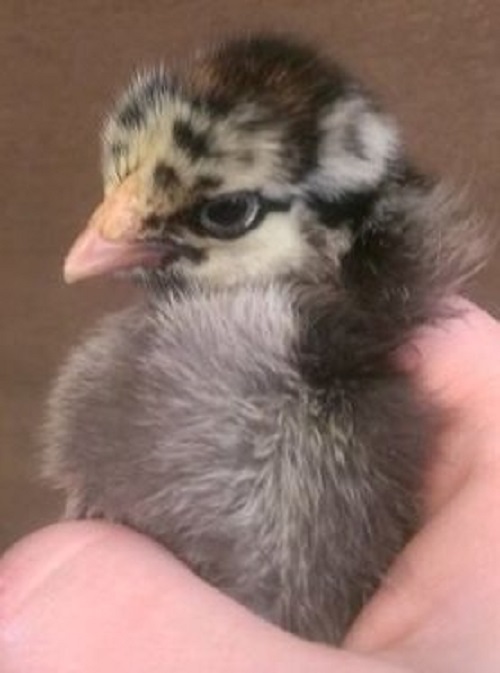 All arrived doing fine. 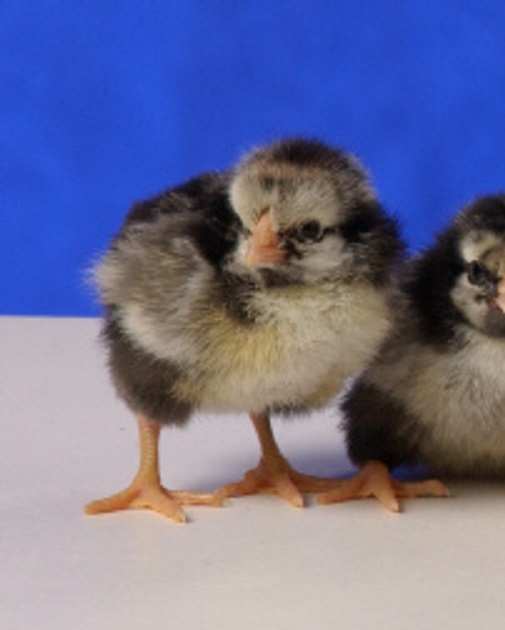 We ordered 60 and we're not disappointed with the chicks in the least. 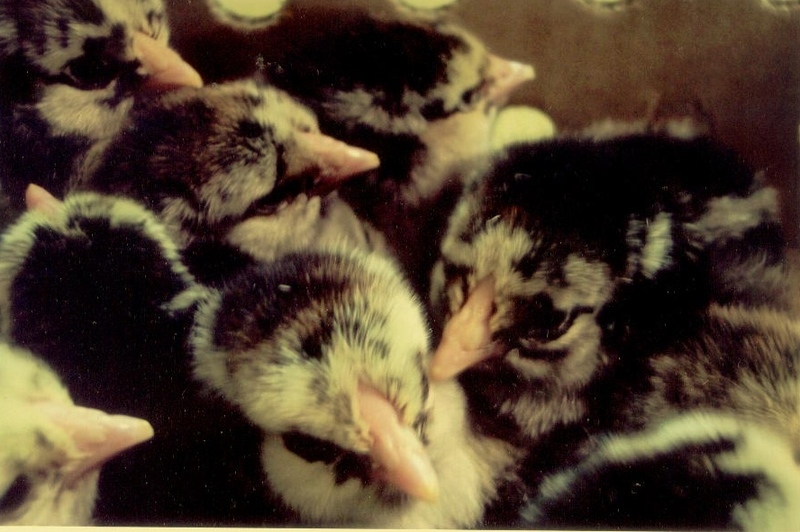 Thanks to Cackle sending a few more chicks for warmth than we ordered.